Once upon a time, there was a busy homeschool mom with long locks of dark hair who thought, journaling? Ain’t nobody got time for that! There’s math, science, writing, grammar, literature, history, art, dinner, errand running and scaling Mount Maytag in search of clean clothing! I don’t have time! So this homeschool mom kept right on keeping on, always moving but never feeling she got anywhere. Then one day this homeschool mom joined a homeschool coaching community because she wanted support and professional development. This is where she read about a SCATTERBOOK. It quickly turned into another I DON’T KNOW WHAT IT MEANS BUT I LIKE IT moment where she’s not entirely sure what she’s doing but she’s going to do it anyway. Homeschool mom bought herself a journal. But only this kind of journal because this homeschool mom is a bit Type A and likes to categorize notebooks with dividers and embraces the freedom of moving pages around when she wants. AND THEN this homeschool mom went to Pinterest (where all average women go to feel inadequate in life) and made the mistake of searching journaling ideas. She never even drew little hearts over her letters as a girl, she can’t do creative lettering! Or doodling! This wise homeschool mom decided to just go with washi taped pages, a couple of sheets scrapbook paper slipped inside the binder cover and call it HERS. Actually, it’s mine. I’ve been keeping a scatterbook for sixteen months now. But what is a scatterbook? How does it make you a better educator? When I first started scatterbooking, I admit I was a bit under the Pinterest influence of bullet points, cute doodles, and hand-drawn boxes. I tried to keep a TO DO list each day (that lasted three days) and an inspirational quote surrounded by a cute doodle box (that lasted seven). It wasn’t long before it became simply a collection of regular journal entries. Its biggest impact on me as an educator is in evaluating the information I collect day-to-day. It’s a detective-like tool I use to keep our learning moving in a positive direction. So here are five ways I use a scatterbook to help me. I don’t see how scatterbooking would have made me a better educator if I didn’t commit to writing every day. And please don’t think this writing has to be pages long. Most days I fill up three-fourths of a page, and that’s writing on these mini-notebook pages. I use bullet points and often write in sentence fragments. I often include passages, quotes, and research notes on family relationships, on learning and parenting, all alongside notes about our school day. So what gets recorded in one will be personal. When I started a scatterbook, I wasn’t sure what the point of it would be, but I made an intentional effort to keep at it daily. I was ten months in before I realized the real power behind this journaling. (I’m writing this so it won’t take you as long.) The transformative power of this practice wasn’t for the posterity of keeping a journal, though there is that. The point of transformation came when I realized it helped me detect patterns in my kids’ learning. The tricky thing about learning patterns, though, is they take both attention to detail and time to notice them. Isn’t that great news for homeschool moms pulled in a hundred directions? Something else that needs both our time and attention, oh goodie! 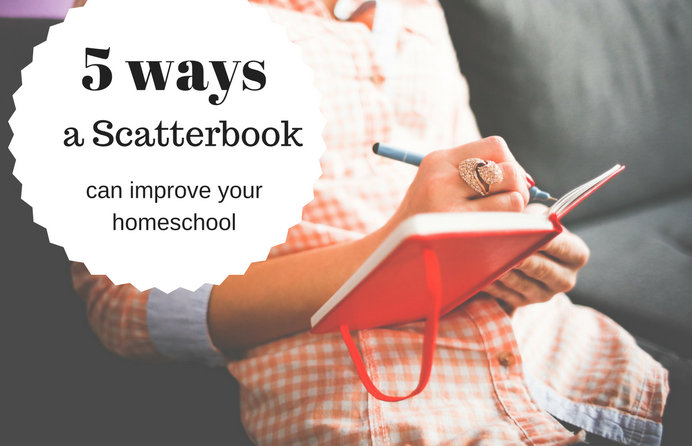 But that is how a scatterbook can be a powerful tool as a home educator. And it’s saved me time in other ways, like time spent ringing my hands over a learning problem that repeatedly crops up every few weeks. That doesn’t sound like much detail, does it? It’s not. Yet it was just enough for me to realize he was having trouble “seeing” the math problem. I noted the same issue two days later, plus the fact I googled for extra practice sheets and stumbled across a book that used color-coded angles when dealing with multiple bisecting rays on a plane. I noted to try that the next day. BINGO. It worked. Just a couple of simple notes from two days led me to better understand what was going on and then find a potential solution. I was lucky that the example above only took two days before a positive insight came through. But that’s not always the case. Patterns can take time to even notice there’s a pattern occurring. Without my notes I possibly wouldn’t recognize a pattern exists, and even if I did, I doubt I could remember any circumstances around it. So many times I’ve found it’s a small detail or two that leads to the aha solution. What went right in this moment? Definitely do not do that anymore! 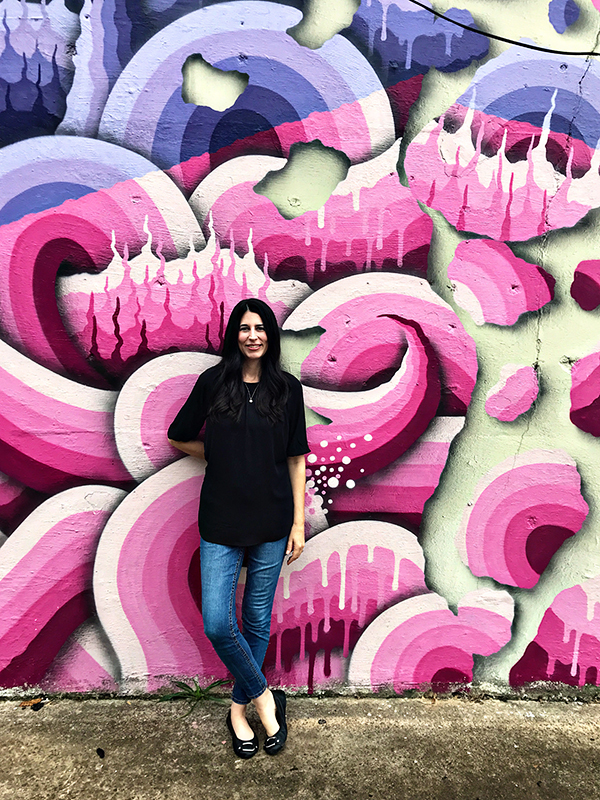 Do you know how many times I’ve found a tweak that solved an issue and then a couple of weeks later we’re right back to the same problem because we fell back into the old rut? COUNTLESS TIMES. I’m embarrassed how often it happens. That’s another reason I love my scatterbook. I’ll realize, hang on, we’ve been here before! And I can flip through my notes to find what helped. I’ll reimplement the tweak again until it becomes a new habit. I have more to say on using a scatterbook book as a detective tool but I don’t want to overwhelm you with too much information at once. So stay tuned for two additions to this series. Now I have a name for it!!! ♥️ We have only been home educating for 14 months, and of all the journalsI have tried, I have found that ‘scatter journals’ work for me! Though I also like to use different coloured highlighters to mark thoughts that tie together, such as one colour for difficulties/or alternative ideas that could help, and home ed trips, etc… This way I can find something easily. Dawn, I do highlight sections in mine too. I do that at the end of the month when I review everything. But I haven’t thought of color coding the highlights. The Type A in me is excited at the idea! I’d love to see an example of what this looks like. I’m having a hard time picturing it with our current set up. Sharon, it looks like the lead photo except I’ve written on the paper. It’s really that simple. The one rule about a scatterbook is there is no rule on how it should look. It doesn’t have to be a 3-ring binder type notebook. It can be a more traditional journal book you find in bookstores. It really is about how you want to use it with your current system. I played around with mine for year before settling down to two sections. As far as the dividers, I have a calendar section (that I use for a planner) and then my journaling section. 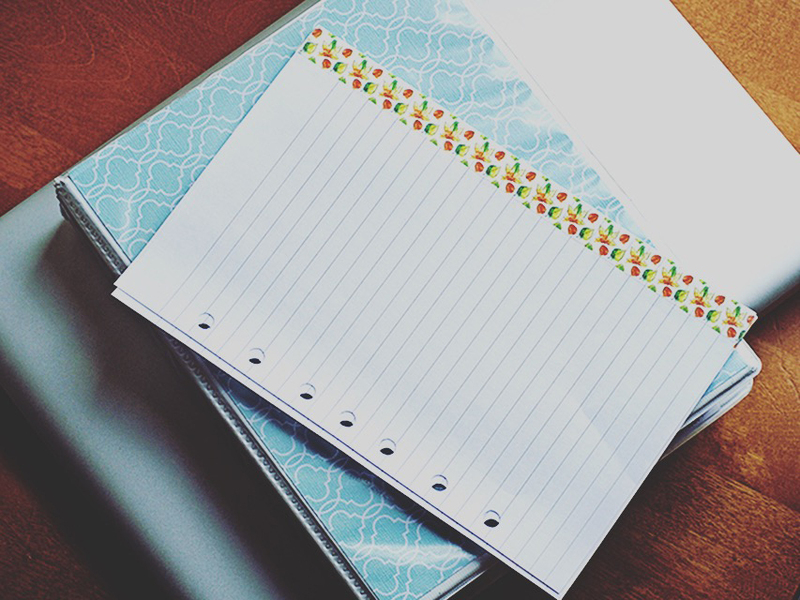 Avery sells mini notebook dividers so you can create your own sections based on your needs. Just dive in and tweak it until you find what works for you. Lead bird in the nerdy birdie migratory flight pattern.